ATP announced today that it is expanding its training network by opening two new training centers. Ogden, UT (KOGD) opens May 1, 2013, and Morristown, NJ (KMMU) opens June 1, 2013. The opening of these two training centers brings the total number of facilities that ATP operates up to 30, the most locations of any flight training provider in the United States. "The opening of these facilities represents a continued effort by ATP to provide high quality, career and multi-engine flight training throughout the United States," said Vice President, Jim Koziarski. "We know how important it is to provide flight training in quality aircraft by properly qualified instructors and staff. It is our goal to make that available in as many locations throughout the United States as possible. As the demand for pilots grows, ATP is focused on ensuring the infrastructure to train them is available." The new Morristown (KMMU) facility will complement the already established ATP facilities in Trenton, NJ (KTTN) and Islip, NY (KISP). 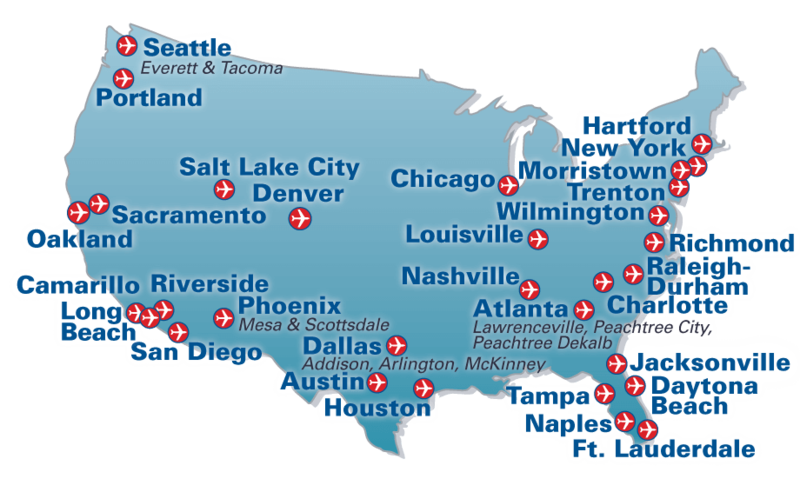 ATP locations offer both Career Oriented Pilot Training and Add-On ratings along with hourly flight training programs. ATP operates new Garmin G1000 equipped Cessna 172 and Garmin G500 equipped Piper Seminole aircraft at its facilities.